Chris Mallin joined the Rotary Club of Leesburg and comes from a Rotary Club in Arlington,VA, where he was active as the Foundation Chairperson. Professionally, he works for AtSite as a Senior Director. AtSite is a smart buildings solutions company in the DC area. 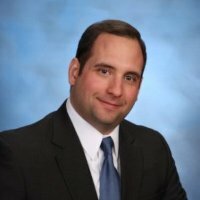 Prior to his new job, he was with Honeywell International as the operations leader for the mid-Atlantic region. Chris and his wife Brooke live in the town of Leesburg with their two young children. He is a graduate of Virginia Tech. He is interested in Foundation and Membership service and is a great addition to the club.